Advanced Cylinder Heads, LLC is a machine shop located in Winter Park Florida with over 30 years of combined experience providing high quality precision machining, welding, metal fabrication and new or resurfaced cylinder heads. Our ASE certified and highly skilled machinists are prepared to respond to a variety of machine work. We service domestic, import, European, commercial, industrial diesel equipment, motorcycles, marine and off road vehicles. 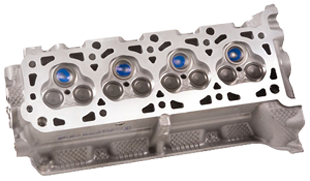 Advanced Cylinder Heads, LLC has become known for its competitive pricing, commitment to excellent work and customer satisfaction in complete overhauling. From machining to cylinder heads, boring and honing, to pressure testing and magnafluxing, all of our work is completed on-site with superior tools and craftsmanship. Our expert staff of machinists, diesel technicians and part specialists combined with a large selection of raw materials enables us to start your job immediately and provide you with rapid turnaround. Custom machining is offered. Advanced Cylinder Heads, LLC serves Greater Orlando and surrounding areas including: Longwood, Winter Springs, Winter Park, Orlando, Casselberry, Maitland, Apopka, Oviedo, Altamonte Springs, Winter Garden, Goldenrod, Lake Mary, Chuluota, Fern Park, Sanford, Geneva and Ocoee. Now serving Orange and Seminole County. Pick-up and delivery service is available. For any full service auto repair needs, visit Auto Mechanic Shop Inc.